Of Middle East origin, this preparation made of candied chickpeas will take you on a journey. 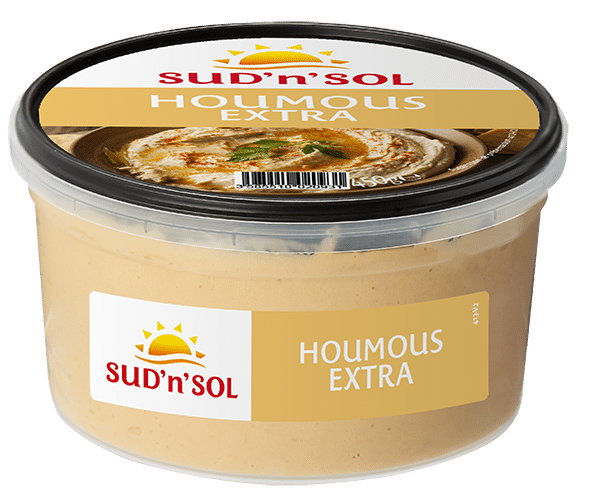 These houmous are guaranteed preservative free and no allergens. 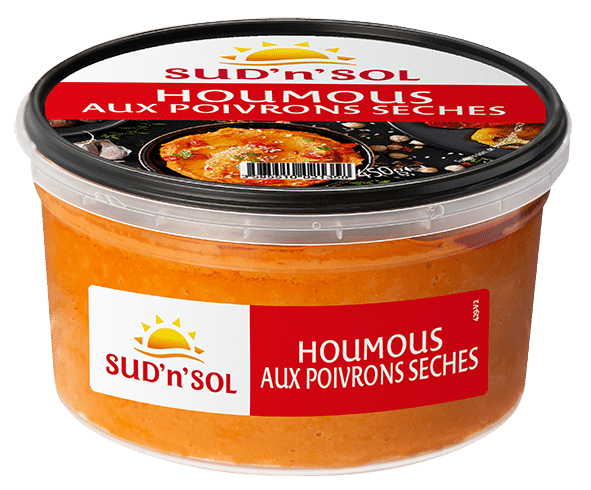 This natural and authentic preparation it's ideal for appetizers. 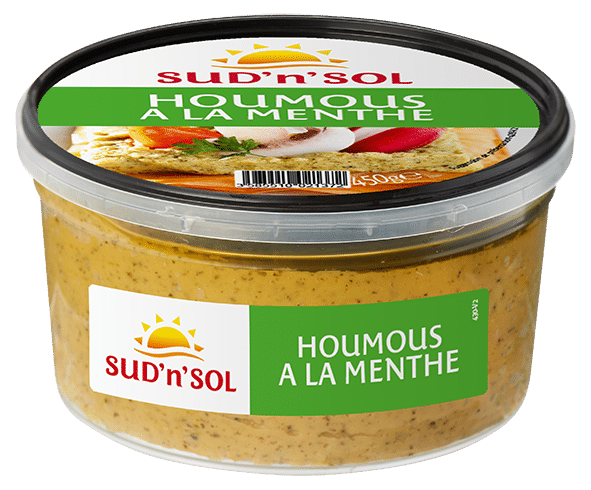 Discover 3 new recipes of hummus in your produce aisle. Protein rich, Gluten-Free, Appropriate for Vegetarians and Vegans. Also available in smaller size of 175g in selected stores. Look in the menu under "Marinated Vegetables"
Of Middle Eastern origin, this authentic preparation of candied chickpeas and dried peppers will take you on a journey. Chickpea, (chickpea 75.5%, water, salt), Colza oil, candied peppers (6%), lemon juice concentrate, tomato paste, salt, garlic, spices, sugar. Also available in smaller size of 175g in selected stores. Look in the menu under "Marinated Vegetables". 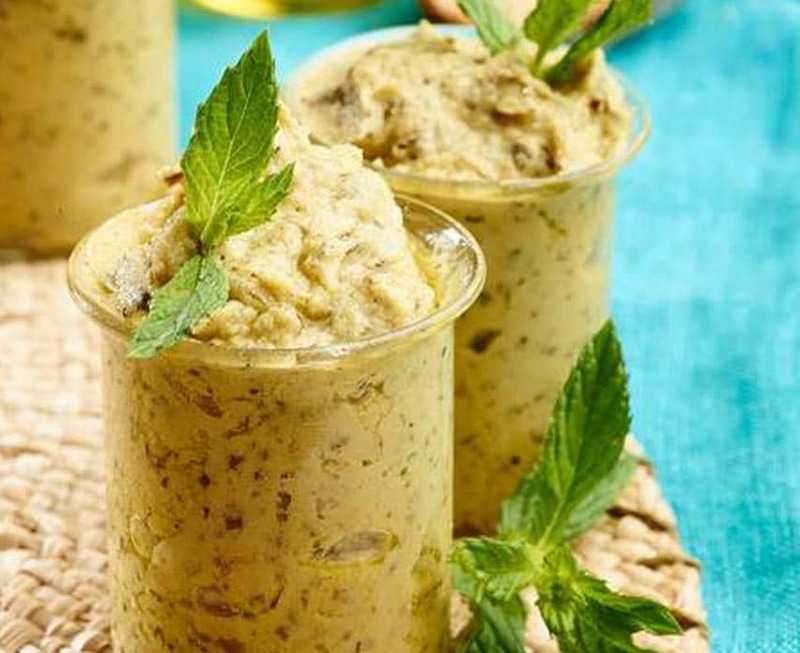 Of Middle Eastern origin, this authentic preparation of candied chickpeas and mint will take you on a journey. Chickpea (chickpea 75.5%, water, salt), rapeseed oil, peas, concentrated lemon juice, onion, salt, garlic, mint 0.5%, parsley, spices. Chickpea (chickpea 75.5%, water, salt), rapeseed oil, concentrated lemon juice, salt, garlic, spices.